First off, how is there not another band so far named The Kicks? 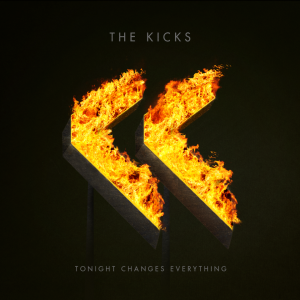 Secondly, the latest full length from The Kicks is unabashed melodic rock just begging for a stadium. The Nashville band cites everyone from Queen and Aerosmith, Springsteen and the Foo Fighters as influences, but in addition they also sound a bit like (and this in no way is intended as a slam or to be ironic) some of the better hair metal bands from the late 80’s (think big guitars, hooks sharp enough to rip flesh and melodies that stay with you for days). With just under a dozen rapid fire songs, each coming at you with more energy than the last, you leave Tonight Changes Everything almost exhausted. From the Zeppelin meets Petty “My Love is Good” to “Through the Night,” which could have been written by Freddie Mercury, its clear this band is on the verge of breaking big. This marks the third self-release effort by the band, which begs the question, why has no one signed these guys yet?